The Ultimate Chess Course! 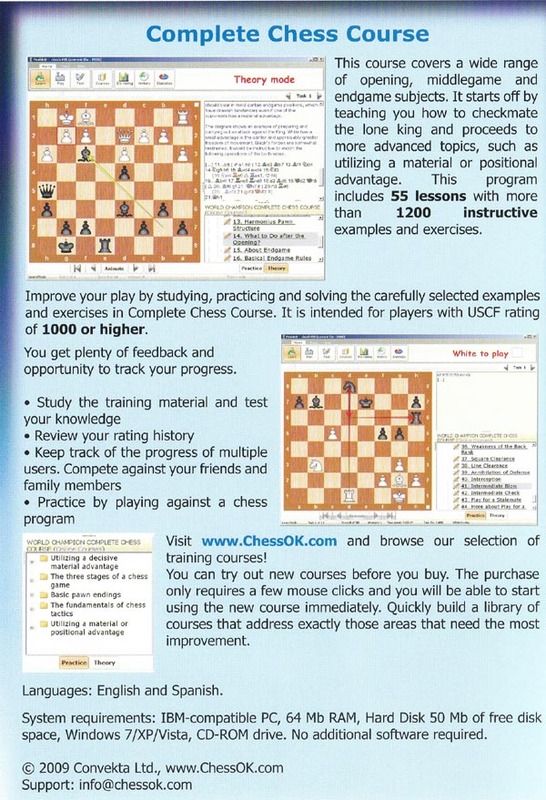 The chess experts at Convekta are proud to introduce the Complete Chess Course, the ONLY instructional program that covers all aspects of the game - Opening, Middlegame and Endgame. It features 55 different lessons, with more than 1,200 instructional examples and exercises. With the Complete Chess Course, you will drastically improve your play by studying, practicing and completing the carefully selected examples and exercises.